If you spend a lot of time outside in the heat, you may be wondering how to tell if you have heat rash. Heat rash occurs when sweat glands become blocked and swell, causing itching and discomfort. It is most commonly found in babies but can also affect adults who live in hot, humid climates. The best way to be able to tell if you have heat rash to is learn about the different types of heat rash and the visual characteristics of each. There are multiple types of heat rash and can range in severity and appearance. Miliaria Crystallina – Miliaria crystallina is the most common form of heat rash and typically affects babies more than adults. This type of heat rash is usually mild and causes fluid-filled clearish-white bumps on the surface of the skin. Miliaria Rubra – Miliaria rubra is also known as prickly heat and is a common form of heat rash in adults. This type of heat rash commonly occurs in humid areas and can cause red bumps and a prickly sensation in the skin. Miliaria rubra often causes more discomfort than other types because it occurs deeper in the outer layer of skin. Miliaria Profunda – Miliaria profunda is rarest form of heat rash that occurs in a deeper layer of skin. It typically causes larger, tough flesh-colored bumps. This type of heat rash typically occurs in adults after sweating from physical activity and can become a chronic issue. Heat rash normally goes away on its own after the skin is cooled. However, if you or your child have symptoms that persist for more than a few days, you should visit FastMed Urgent Care for treatment. Occasionally heat rash can lead to infection, which should be treated by a medical professional. 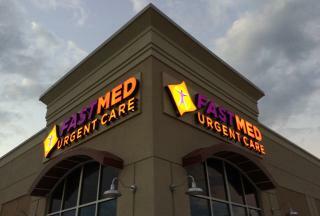 At FastMed, our medical professionals are dedicated to providing each and every patient with prompt medical care. We are open 7 days a week, 365 days a year, making it easy for you to be seen for your heat rash symptoms at a time that fits your busy schedule.